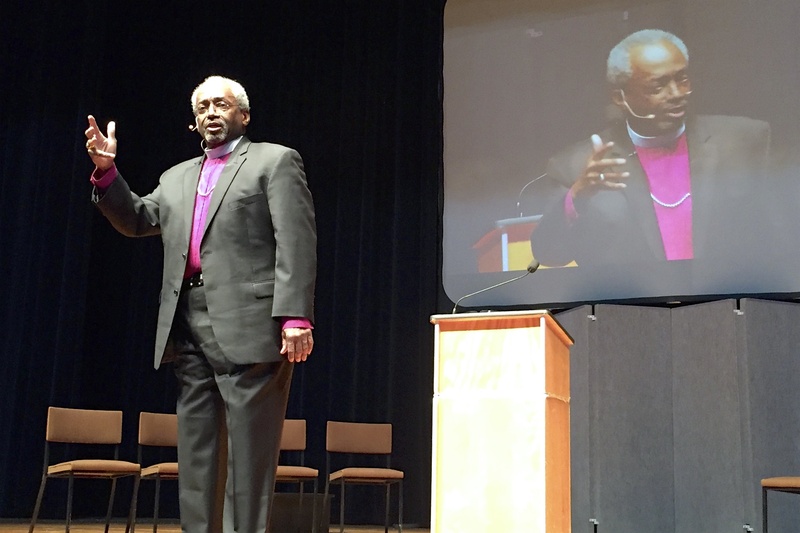 Episcopal Church Presiding Bishop Michael Curry was featured at an all-day event at Sherwood Hall in Salinas, California, on Saturday, 7 January 2017. I was on the panel that asked questions after his keynote presentation. 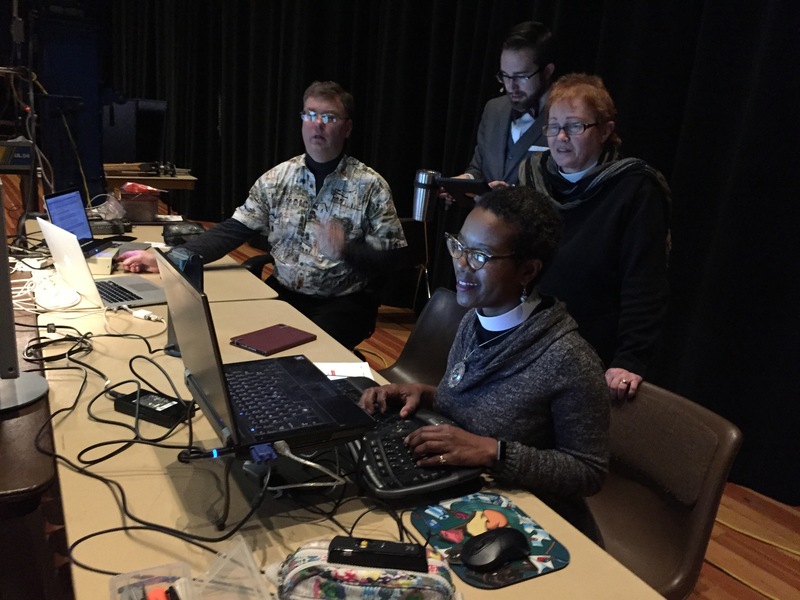 I was also on the Tech Team that helped to create the event – with my husband John Plocher and the Rev. Stephenie Cooper. 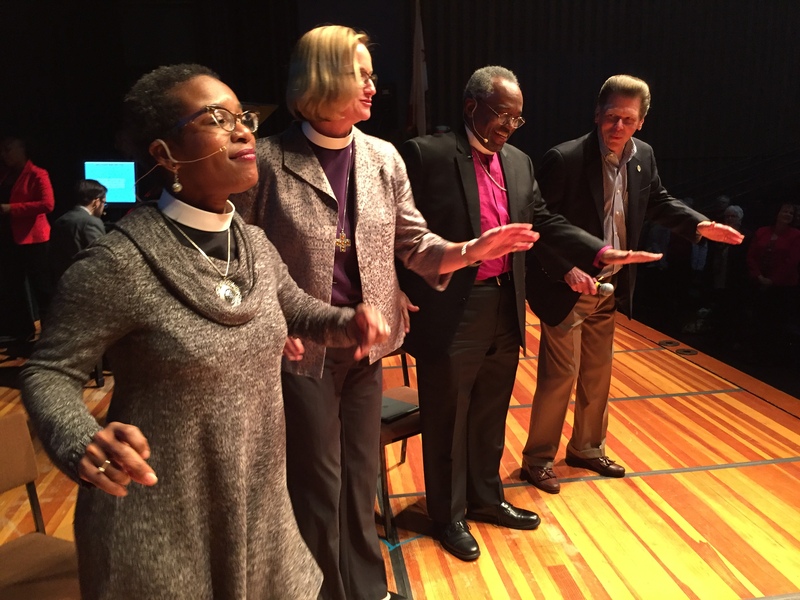 With the “PB” on the stage was our own Bishop Mary Gray-Reeves, and the Rev. Canon Stephanie Spellers. 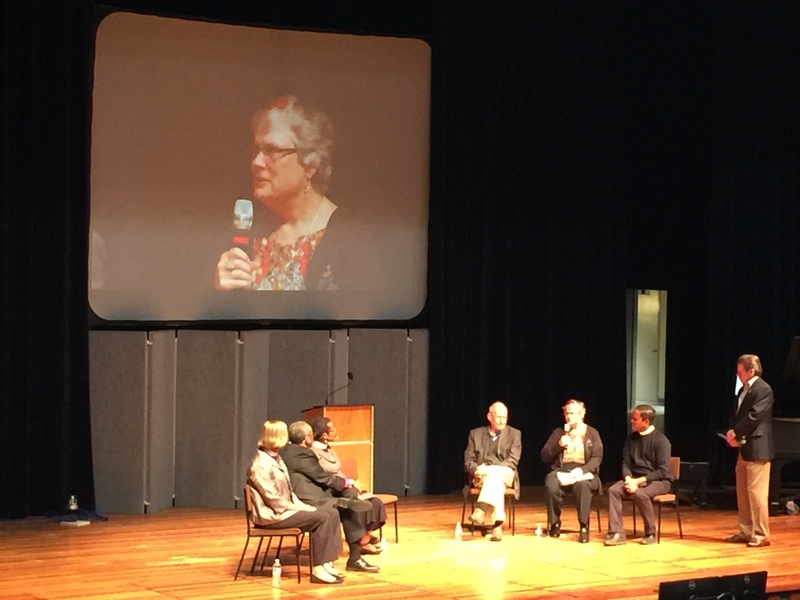 On the panel with me were Dave Mora (former Salinas City Manager), and the Rev. Ian Dellinger (Rector of St. Stephen’s, San Luis Obispo). The moderator was Joe Heston (President & General Manager of KSBW). A video of the event is in development. 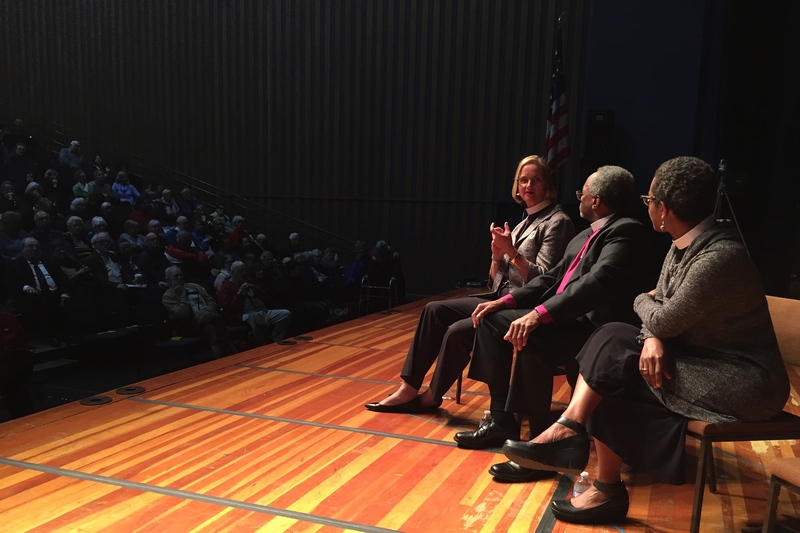 About 650 attended the event. 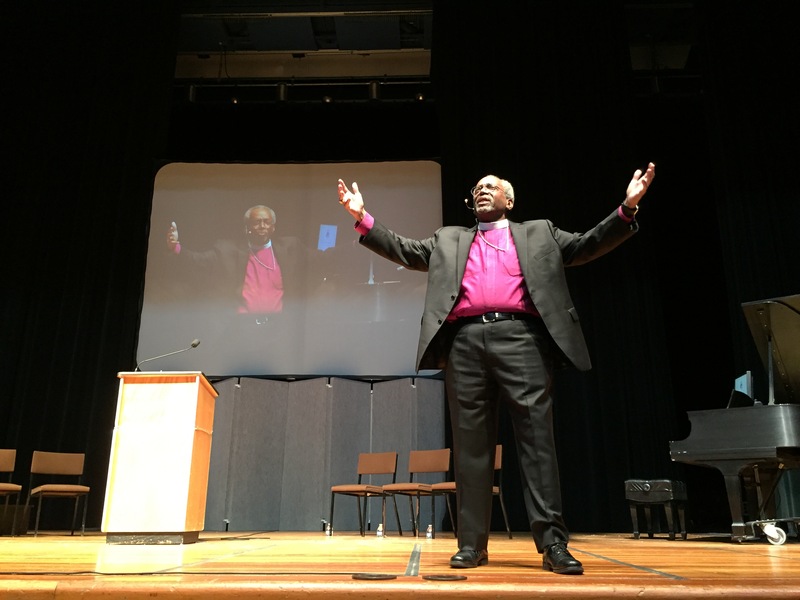 Thanks to my EfM Co-Mentor Karen Carlson for the photo of me on the stage! I know Elrond Lawrence (realepiscopal.org and @El4short on Twitter) will be publishing a video. I don’t know about a transcript.